Lower Quality Backlink Profile Asking for Sure Trouble? What to Do? Google algorithm works in two ways while ranking a web page. It measures the relevancy of a web page and it measures the popularity of a web page. These two big metrics "Relevancy" and "Authority" or "Popularity" decide which pages should rank high on Google based on the search query entered by the user. Now, here we are not talking about the first metric but instead, we are more concerned about the second metric in place that is the authority of a website. Backlinks are the criteria for measuring the authority of a website. If a site has whole lot of low quality backlinks which are only gained to increase the number of links pointing to a website instead of increasing the value of those links then this is what termed as a low quality backlink profile. A site having this kind of profile is asking for sure trouble. On the other hand, if a site has backlinks from high authority resources which Google looks up to as highly trusted domains then your link profile can get a real boost. Having a cleaner and authoritative link profile would make your site stand apart from your competitors. Now, let us look at these two link profiles more clearly. In short, each and every link that has been easily obtained without adding any editorial value. These links only serves the seo purpose and not the user purpose. - Natural links obtained via people genuinely sharing your content on social media sites, forums, Q/A sites etc. - Links from trusted domains like CNN, Techcrunch, Chicago Tribune, Huffington Post etc. My Competitor is Having Low Quality Backlinks and Ranking High - Should I Follow Him? It can happen that your competitor is outranking your site by building low quality backlinks to its site; but, do not fall in the trap of following his backlinking strategy. Google is frequently making changes to its Penguin algorithm in order to target more and more sources of web spam which its missing at present. So, if your competitors site is ranking high even if it has low quality backlinks then it won't rank high for so long. The second case would be that you might not have the full knowledge of the type of backlinks that your competitor is having. 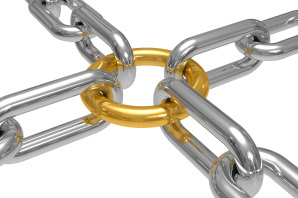 Remember a single high quality backlink is enough to outrank many sites. Hence, it is possible that you might have missed that source of backlink and considering all the links to be of low quality. The best bet is to contribute towards the user and engage in safer link building practices like high quality guest blogging, increasing author rank and sponsoring some events to get media coverage.